BC singer/songwriter and critical darling Dan Mangan heads off in a completely different direction when he releases Club Meds on January 13th. The focus of the album, credited to Dan Mangan + Blacksmith, shifts from Mangan's feted lyrics over to (at least for him) experimental, often ambient arrangements. On occasion the emphasis on the arrangements totally overpowers the vocals. That's the case with the opener "Offred", it's some intriguing fractured beats that take precedence over the mellow vocal component. Smoothed-over fits and starts make for a compelling bipolar refrain on the standout "Vessel". The introduction to "Forgetery" creates a momentum that doesn't ebb for the duration of the song. "Mouthpiece" is the Manganiest track on the record, fusing his classic lyrics and vocals with an aggressive guitar arrangement. As we well know, not all experiments end successfully. In this instance, "A Doll's House/Pavlovia" is simply plodding. Spiking refrains on "Kitsch" fail to atone for the song's overall lackadaisical ambient vibe. "XVI" is merely unassuming. "War Spoils" succeeds in creating a desolate atmosphere, but it does so in a manner that tends to disengage the listener. 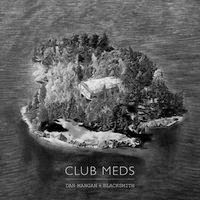 There are some true gems on Club Meds, however, there are an equivalent number of tracks that drag. As a result, this is a record that should be heard, but it will never be a staple in your album rotation. Dan Mangan plays Massey Hall in Toronto on February 28th.